Solarmobil: The First Solar Car project of India! Made in India, made for India!! 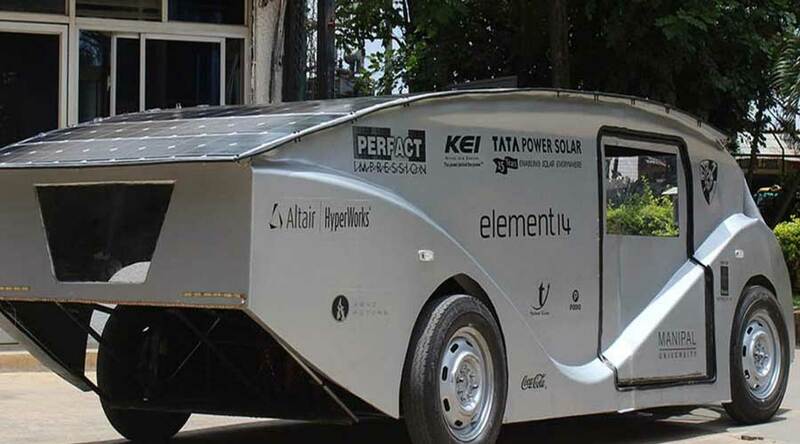 Manipal University, a renowned engineering institute in India, has initiated India's first solar car project - the Solarmobil which is now setting up new standards in the automotive industry. Undergraduate students of the university participate in this project and manifest their CAD (Computer Aided Design) skills in modeling these vehicles. Currently, they are focusing on the sedan segment for sustainable and emission-free transport. Despite strict emission norms, the problem of air pollution has intensified significantly during recent years. And thus, sustainable transport is still way ahead. Hence, finding a green solution to this problem was the main thinking behind this initiative. Going solar was one of the best options available to reduce emission and curb pollution. Feasibility and practical usability were the key factors. Also, keeping the manufacturing cost low was one more challenge in order to make this project successful. As a costly car won’t survive in a price conscious economy like India, all these factors were taken into consideration while designing this car. The Solarmobil team has successfully completed two projects since 2011. They are Freyr1 in 2013 and SERVe in 2015. Design of chassis and suspension was initially modeled on CAD and then it was analyzed for further improvements and finalization. The team manufactured the chassis in-house while sourcing some components from the automotive industry and sponsors. This is how the Solarmobil team assembled the prototype on the university campus itself. The finished car underwent rigorous testing. During testing, the team gave special attention to parameters such as safety, handling, comfort, and practicability. The first car is Freyr1 which is a single-seat three-wheeler racing car. Monoshock suspension with swing-arm provides comfort and stability while fiber-reinforced plastic improves power to weight ratio by reducing weight. Furthermore, a 950 Watt solar-cell powers 10 HP brushless motor. Additionally, Solarmobil also gets custom-made battery management system. The second car is SERVe (Solar Electric Road Vehicle) which is first of its kind two-seat four-wheeler solar passenger car. This car gets power from Agni 155R PMDC motor. It is capable of achieving a top speed of 65 km/h. SERVe has a range of 250 km and weighs only 590 kg. The cut-section of a teardrop-inspired the body design of SERVe which improves aerodynamics. Thus, the team was able to achieve the co-efficient of drag of 0.28. 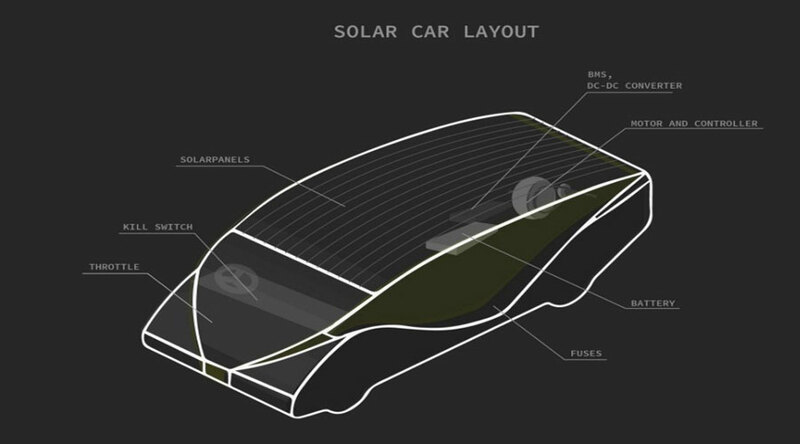 In addition, the curved solar panels of this car improve energy generation by 20%. 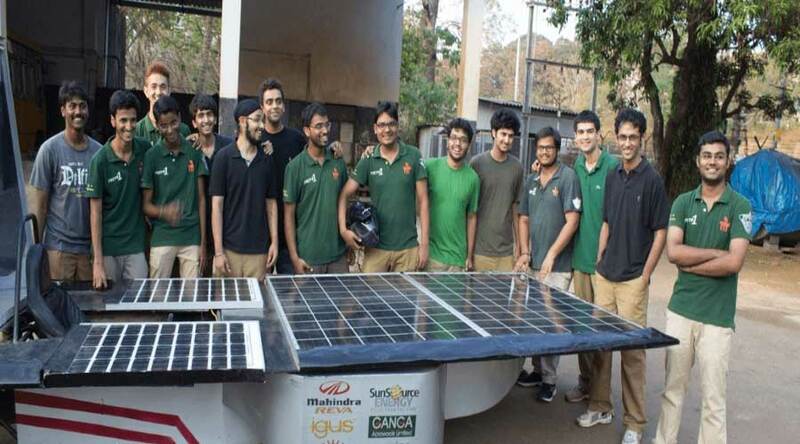 With such a good pace of inventions at Manipal University, there is no doubt this university will contribute significantly to solar car inventions taking place in India to provide a sustainable transport solution! Know more about the Solarmobil solar car project here.